Canterbury City Council claim that due to increasing numbers of people using rail services “there is a definite need to increase parking capacity”. The success of high speed services to London, rising numbers of students and visitors to the city and largescale residential developments will inevitably lead to much higher use of rail services. However, this does not automatically mean that there should be a three-fold increase in parking with a large multi storey car park being the only solution. When approving numerous large developments, the city council argued that there would be little overall increase in traffic because there will be a “modal shift” in the way people travel. Much was made of this concept and reassurances given that all will be done to facilitate such a shift in line with the council’s own transport plans. Indeed, sensitive to criticism that air pollution in Canterbury will rise as a consequence of increased traffic generated by these developments, this argument was used as justification for granting planning approval. Now, there seems to be a change of direction and plans are afoot to build a 380-space car park to encourage rail users, visitors and locals to drive to the station. By providing so many additional spaces, the council is creating “induced demand” and when these spaces fill up (as is inevitable), it will be seen as justification for this £5 million project. Currently there are approx. 129 spaces in the public car park in Station Road West in addition to a smaller station car park. There is also a temporary car park of 111 spaces. It is claimed that these car parks are almost always full. However, this is not the case as several visits at various times of the day have confirmed. Even at rush hour, there are empty spaces. Increased use of rail services (which is to be welcomed) does not require trebling the parking allocation, particularly in light of the council’s promise to encourage modal shift in the way people travel. There is no evidence to suggest that more car parking is needed “in order to maximise the opportunities for rail travel” and so the rationale for this project is flawed. The proposed multi storey car park will attract drivers into an already congested city, may discourage people from using other forms of transport to and from the station and negatively affect the character of the existing streetscape within a conservation area. Canterbury West station is grade II listed and sited within the conservation area. It is the gateway into Canterbury – a World Heritage city. Within this context, it is vital that any proposed development is designed to create the least intrusive impact and not dominate or overpower the surrounding buildings. More importantly, it needs to be recognised that rail service users are not just car drivers. Indeed, most people will arrive at the station by bus, foot, cycle, taxi or be dropped-off and their needs should be factored into the proposed plans. The design of the car park is out of scale for the area – it is too big and overpowering and will impact negatively on the surrounding conservation area. In their document Canterbury Parking Strategy 2006-2016, the council outline proposals to increase parking at Station Road West by approx. 140 spaces by adding an extra deck. Why has there been a change of policy regarding the size of the car park? Aesthetically, it looks ugly, bulky and overshadows the adjacent buildings. The “wood-effect cladding” is monotonous and out of keeping with the materials used in surrounding buildings. Using vegetation to soften the effect of large block structures is an option and is often seen in European cities. Vertical wires for climbers to grow up would add interest and greenery. However, it is questionable whether there is a need for such a huge car park given the consequent detrimental effects it would have so comments on the intricacies of the design are in some ways, beside the point. The proposed retail units are out of character and their design is corporate, dull and unimaginative. The idea that these should be appended to the front of the car park to “maximise the economic opportunities presented by the high-speed rail services” demonstrates that sustainability and visual appearance have not been properly considered. The council claim that they want to “make the pedestrian route ……as attractive as possible” and that these retail units will add to the vibrancy of the area. However, there is no proven demand for these shops which may take business away from the long-established independent shops in St Dunstans and result in more chain outlets, litter, light pollution, noise and street clutter. Building these units requires provision of a loading bay for goods vehicles which will increase traffic movements in the area, including heavy goods commercial vehicles. These vehicles are mostly diesel – the most polluting kind which will impact on the large numbers of pedestrians walking by. The retail block will also necessitate the removal of eight mature horse chestnut trees. How will this improve the pedestrian experience? The value of mature street trees is well known - they help to ameliorate air pollution, provide valuable shade, improve the appearance of the streetscape and contribute to people’s wellbeing. The replacement of these trees by a few smaller ones planted close to the wall will not provide the same benefits and will not have the beneficial effect on air quality stated in the council’s plans but may actually make it worse by impeding air flow in the area. Recent guidance by NICE supports the retention of mature trees, stating that “Use of trees to encourage deposition of air pollutants, to reduce heat stress, provide shade and create a more attractive environment – all of which benefit health without inadvertently creating areas of poor air pollution”. NICE Guidance(p26). There is little consideration given to pedestrians, cyclists and bus users. The current plan for a multi-storey carpark is to accommodate as many cars as possible (as confirmed at a recent consultation event). Provision for other forms of travel to and from the station has not been considered, as evidenced by the council’s statement that “cycle racks and seating would also be provided where space is available”. This is unacceptable and needs to be challenged because it undermines the whole premise of the council’s objective of supporting modal shift and ensuring that priority is given to pedestrians, cyclists, bus and taxi users. There are no actual plans to improve cycle access to the station or for bicycles to be safely stored. Cyclists should not have to enter the car park building to secure their bikes in whatever space is left – the air quality in this building will be heavily polluted and there will vehicles moving around at most times. Priority must be given for a separate cycle storage area with dedicated access. The design of the access areas of the car park will make it difficult for pedestrians to cross safely. It is a wide area and there appears to be no crossing so the large numbers of people walking here will be subject to cars driving out at them. There should, at the very least, be a raised surface to indicate to car drivers that people have priority when crossing. § In most cities, train stations are at the centre of a highly congested road network. It therefore makes sense to gradually reduce the number of car parking spaces provided, reducing congestion. § Providing high quality, secure cycle parking and short-term bike hire services at stations reduces the need for car parking and the volume of private and hire car traffic accessing the station. § A large car park would be neither desirable nor necessary at most such hubs [transport hubs such as stations]: many busy train stations have little parking provision, with most people walking, cycling or being dropped off. The proposed plans will have an environmental impact that needs to be fully evaluated. The main impact arises from the generation of more traffic leading to increased levels of air pollution and congestion in an already congested area. St. Dunstans has high levels of car traffic and is a pollution hot-spot due to the level-crossing and the build-up of exhaust fumes in the area. Air pollution must be taken more seriously and needs to be factored into every new development as the health consequences of ignoring this will be felt by all the people in Canterbury. There is strong evidence showing that the only way to tackle air pollution is to take positive steps to change the culture that puts cars at the forefront and ensure that all local planning decisions are taken within the context of supporting modal shift and minimising the impacts on people’s health and wellbeing that over- development and increased traffic cause. It is the view of Canterbury District Green Party that the proposed expansion of parking at Canterbury West is unnecessary and is contrary to the council’s own policy of promoting non-car modes of travel in the city. It is not simply a matter of the building design but the concept of increasing by three-fold the parking in an already heavily congested area. As the research evidence shows, this leads to “induced demand” meaning that the car park will act as a magnet and attract more vehicles into the St Dunstans area. This will lead to worse air quality, a reduced area for pedestrians (the most frequent users of rail services) and degradation of the local environment. Investing so much in this car park will inevitably lead to a lack of money and support for the development of essential sustainable forms of transport that are so desperately needed in this city. “To achieve modal shift in towns and cities we need to invest in improving sustainable transport modes and, at the same time, reduce capacity, access and convenience of urban road networks for motor vehicles. This requires a revolution in transport planning: no longer can the motor vehicle be king of the city. We must design urban roads and streets to be attractive and convenient places to walk, cycle and use public transport”. Building this huge ugly car park together with the retail and office units and justifying such an over-development as an economic opportunity is inappropriate. The impact of this proposed development will detrimentally affect the appearance of the conservation area, air quality, pedestrian experience, local residents’ quality of life and increase traffic to unacceptable levels. The council has a duty of responsibility to the people of Canterbury to adopt the best practice recommendations of a number of key advisory agencies and also its own sustainable transport policy and abandon plans for such a large-scale development. The council must publish all responses to this consultation in whichever format they are submitted so that there is full community engagement and a process that is open to wider public scrutiny of such an important proposal with far reaching consequences for Canterbury. It’s only through concerted international efforts that we have a chance of solving the climate crisis. The UK’s membership of the EU is a crucial part of that fight. Our rights at work - from paid holidays, to maternity pay and the right to strike - are protected by EU rules. With corporations operating across borders - and attempting to drive down wages and environmental protections in the process - it’s clear that we need international rules to keep them in check, and cross-border action to tackle tax-dodging. Our beaches are cleaner, our air less polluted, and our wildlife is far safer because of EU protections. We benefit from over 100 European laws protecting people and our environment. EU funds help some of the most deprived communities in Europe - including many places in the UK. Working closely with other EU countries allows us to begin tackling the huge inequalities across our continent. 6 Creating Decent Jobs EU membership gives us a better chance of getting a decent job. 3-4 million jobs are linked directly and indirectly to our trade with other EU countries according to a range of studies by independent experts as well as the UK Government. 7 Freedom of Movement All EU citizens have the right to freedom of movement. Whether that means travelling across Europe, studying abroad, retiring to Spain or moving to Britain to work - it enriches our lives and culture. 8 Peace and Security The EU has been crucial to lasting peace in Europe after the bloodshed of the Second World War. No matter how slow some of the discussions can be in Europe it’s infinitely better to be sitting around a table discussing issues rather than resorting to bullets and bombs. The EU isn’t perfect, but to change Europe, we’ve got to keep our seat at the table. Greens are fighting for a more democratic EU – where citizens have more of a say. By working together with people across Europe, we can ensure the EU goes further in protecting our environment, lifting people out of poverty, and challenging the power of corporations. 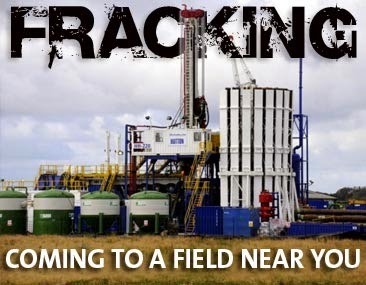 Greens were active in the strong campaigns by East Kent Against Fracking and Keep Shepherdswell Well in 2013 and 2014 to fight applications for coal bed methane exploration at four sites in East Kent, which could eventually have led to fracking. The campaign groups raised public awareness about the damage which could be done to the environment by drilling exploratory boreholes in the region, particularly highlighting the risk of contamination to the chalk aquifer, which supplies more than 70% of Kent with its drinking water supplies. Three applications were withdrawn after the Environment Agency required detailed explanations on how the company concerned (Coastal Oil and Gas Ltd) would protect the aquifer. The 14th round of government Petroleum Exploration and Development Licences (PEDLs) in 2015 saw Kent free of licences, Coastal Oil and Gas Ltd having relinquished those it held in the county. An estimated 81 people die each year in Canterbury District as a result of air pollution from traffic. Green MEP Keith Taylor joins Green Party members in Canterbury on 30th April 2013. They are canvassing for the KCC Election and pausing to draw attention to the vital importance of good air quality. Public transport should be owned by the public and for the benefit of the public, not shareholders. We are campaigning for the renationalisation of our railways and for proper investment in this clean, green form of transport. 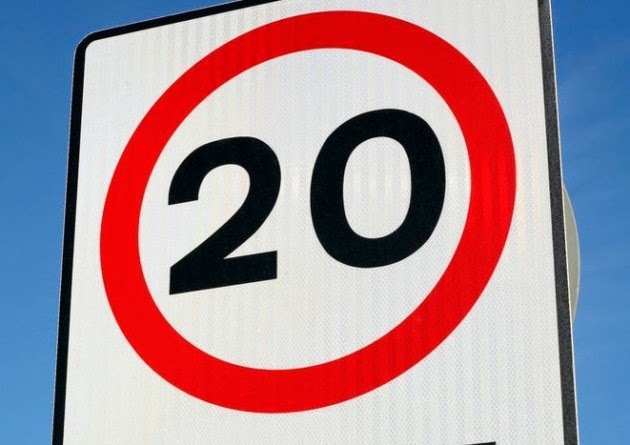 We continue to campaign for 20mph roads where people live. Research has shown that accidents are significantly reduced while traffic is not unduly delayed.